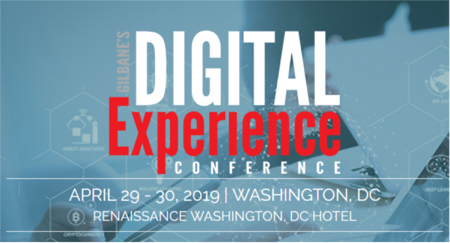 In keynote sessions at the recent Gilbane Boston Conference, three speakers in a row made points about content management solutions that are also significant to selection and implementation of enterprise search. Here is a list of paraphrased comments. From Forrester analyst, Stephen Powers were these observations: 1. The promise has been there for years for an E (enterprise)CM suite to do everything but the reality is that no one vendor, even when they have all the pieces, integrates them well. 2. Be cautious about promises from vendors who claim to do it all; instead, focus on those who know how to do integration. Finally, Scott Liewehr of the Gilbane Group stated that a services firm selection is more important than the content management system application selection. Taken together these statements may not substantiate the current state of the content management industry but they do point to a trend. Evidence is accruing that products and product suppliers must focus on playing nice together and work for the enterprise. Most tend not to do well, out-of-the-box, without the help of expertise and experts. Nominally, vendors themselves have a service division to perform this function but the burden falls on the buyer to make the “big” decisions about integration and deployment. The real solution is waiting in the wings and I am increasingly talking to these experts, system integrators. They come in all sizes and configurations; perhaps they don’t even self-identify as system integrators, but what they offer is deep expertise in a number of content software applications, including search. Generally, the larger the operation the more substantial the number and types of products with which they have experience. They may have expertise in a number of web content management products or e-commerce offerings. A couple of large operations that I have encountered in Gilbane engagements are Avalon Consulting, and Search Technologies, which have divisions each specializing in a facet of content management including search. You need to explore whether their strengths and expertise are a good fit with your needs. The smaller companies specialize, such as working with several search engines plus tools to improve metadata and vocabulary management so content is more findable. Specialists in enterprise search must still have an understanding of content management systems (CMS) because those are usually the source of metadata that feed high quality search. I’ve recently spoken with several small service providers whose commentaries and case work illustrate a solid and practical approach. Those you might want to look into are: Applied Relevance, Contegra Systems, Findwise, KAPS Group, Lucid Imagination, New Idea Engineering, and TNR Global. Each of these companies has a specialty and niche, and I am not making explicit recommendations. The simple reason is that what you need and what you are already working on is unique to your enterprise. Without knowledge of your resources, special needs and goals my recommendations would be guesses. What I am sharing is the idea that you need experts who can give value when they are the right experts for your requirements. The guidance here is to choose a search services firm that will move you efficiently and effectively along the path of systems integration. Expertise is available and you do not need to struggle alone knitting together best-of-breed components. Do your research and understand the differentiators among the companies. High touch, high integrity and commitment for the long haul should be high on your list of requirements – and of course, look for experience and expertise in deploying the technology solutions you want to use and integrate. Next month I’ll share some tips on evaluating possible service organizations starting with techniques for doing research on the Web. Thanks to all for contributing to a great event! Thanks to all who joined us at Gilbane Boston! See you in Boston next year – stay tuned for details.